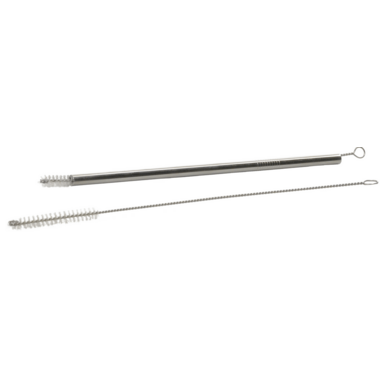 To easily clean out the inside of RSVP’s straight or angled Endurance® Drink Straws and Spoon-Straws, these 10-1/4″ long brushes are made with flexible stainless steel wire and stiff bristle ends do the trick. Set of 2. Dishwasher safe. The brushes are flexible and work very well with my bent stainless steel straws. Work great! Exactly what I was looking for. Perfect brush for cleaning the metal and hard plastic straws we use.